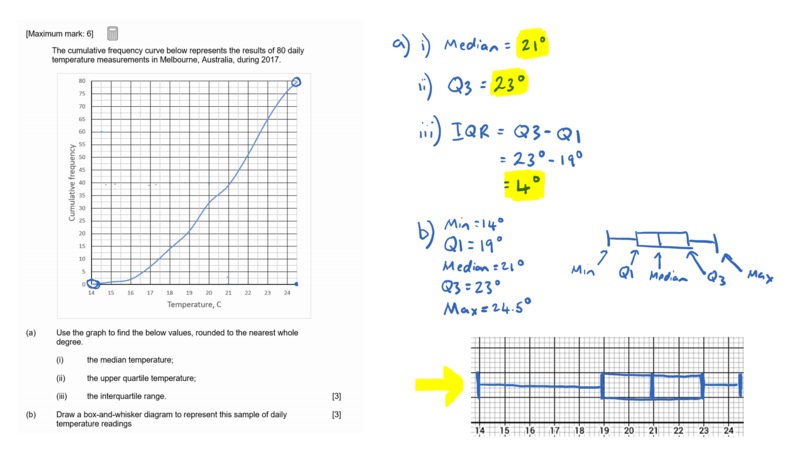 This video explores Median, Quartiles & Interquartile Range (IQR), a key concept in IB Maths Studies Topic 2: Descriptive Statistics. 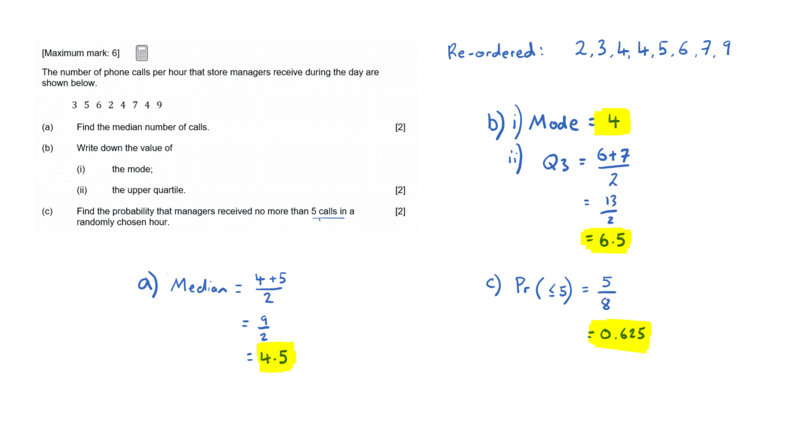 Median, Quartiles & IQR questions are frequently found in IB Maths Studies exam papers, often in Paper 1. This video is accompanied by an example IB Maths Studies exam question to further practice your knowledge. This video explores Box & Whisker Plots, a key concept in IB Maths Studies Topic 2: Descriptive Statistics. 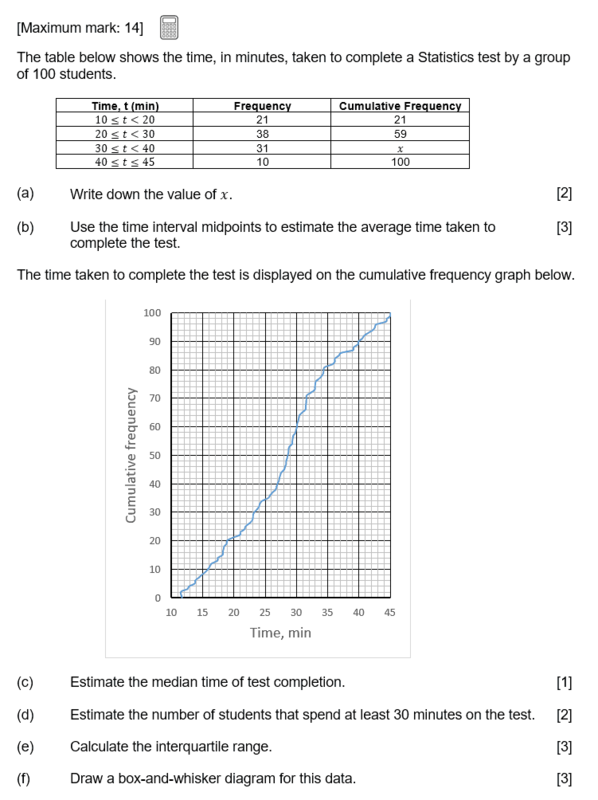 Box & Whisker Plots questions are frequently found in IB Maths Studies exam papers, often in Paper 1. This video is accompanied by an example IB Maths Studies exam question to further practice your knowledge. 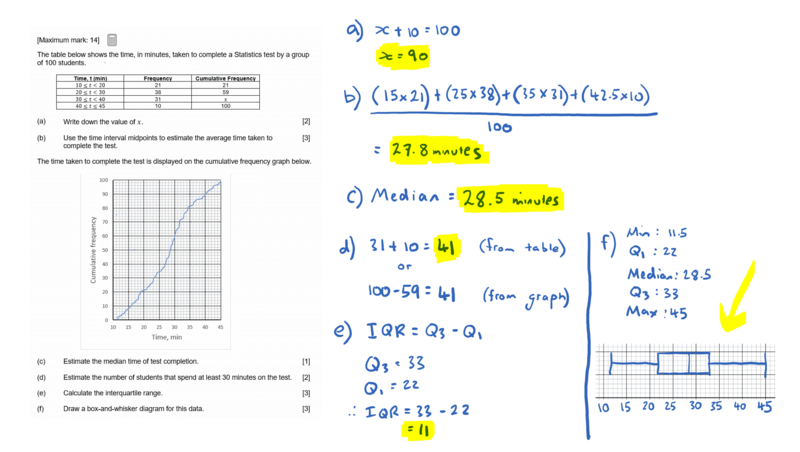 This video explores Cumulative Frequency Graphs, a key concept in IB Maths Studies Topic 2: Descriptive Statistics. 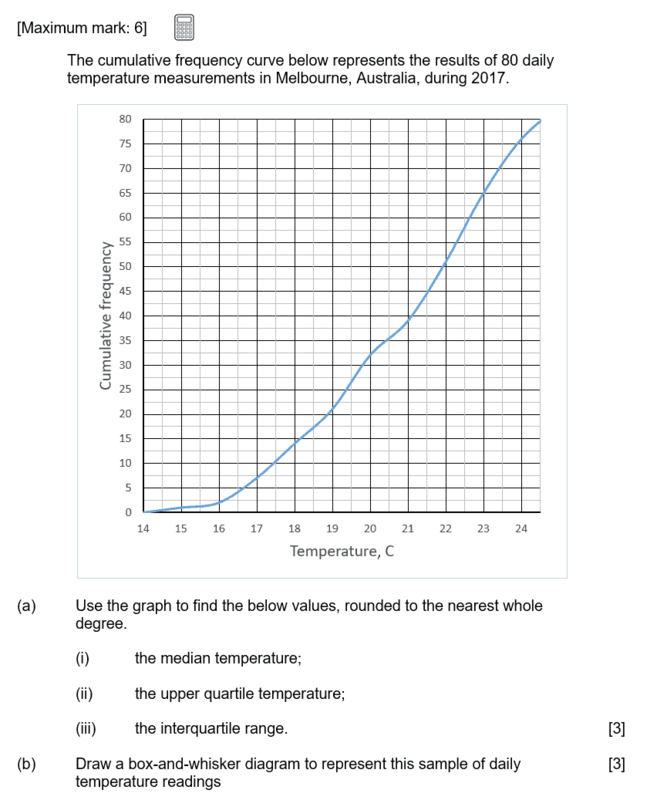 Cumulative Frequency Graphs questions are frequently found in IB Maths Studies exam papers, often in Paper 1. This video is accompanied by an example IB Maths Studies exam question to further practice your knowledge. This video explores Grouped Data Tables & Mid Intervals, a key concept in IB Maths Studies Topic 2: Descriptive Statistics. 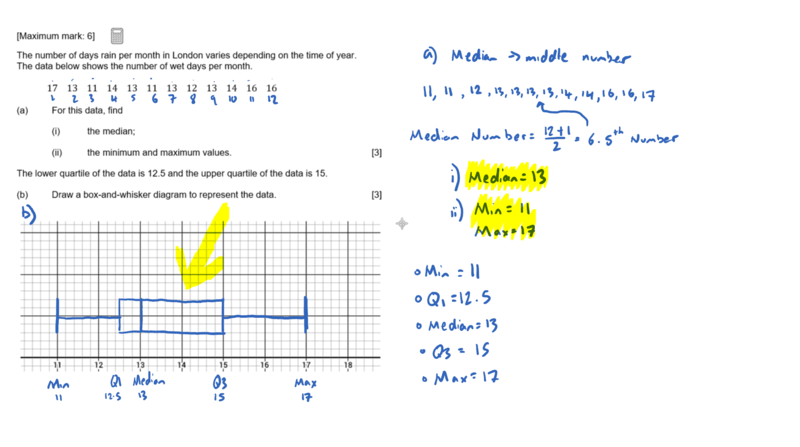 Grouped Data Tables & Mid Intervals questions are frequently found in IB Maths Studies exam papers, often in Paper 1. 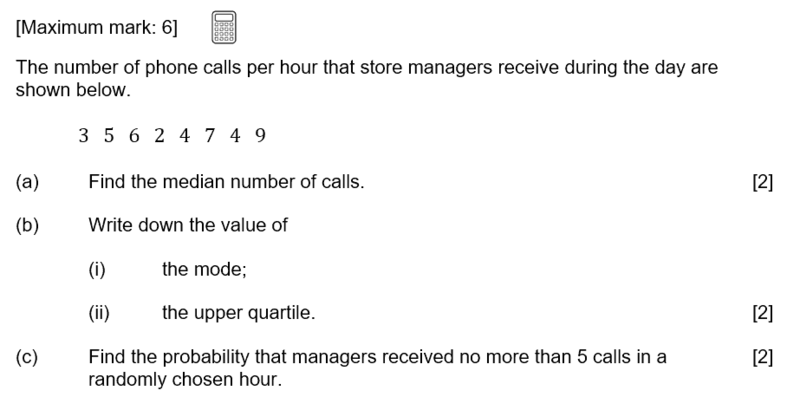 This video is accompanied by an example IB Maths Studies exam question to further practice your knowledge.